With summer in full swing, it's likely you have outdoor soirees on your mind, or even the calendar. Of course you want your event to be memorable and that can easily be achieved by the right outdoor lighting. 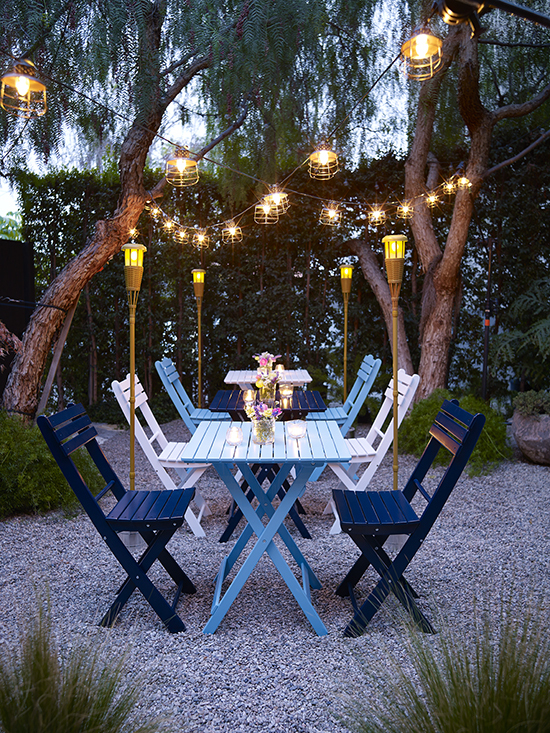 Here are some ways to make your outdoor areas look magical after the sun goes down. 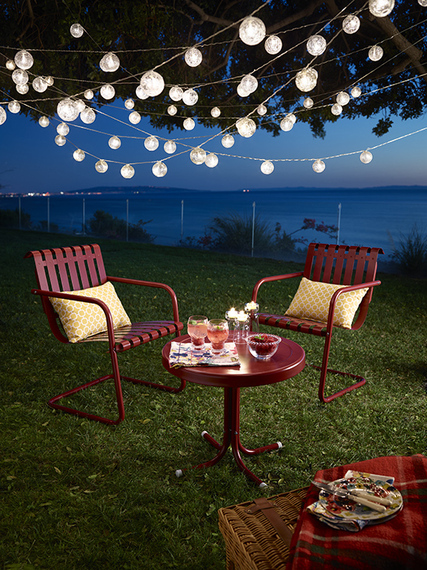 An extra bonus is that none of these outdoor lighting ideas requires hard-wiring! Outdoor string lights can add a whimsical touch to your outdoor space. Traditional white string lights look beautiful wound around tree trunks or wrapped around a pergola. Globe party lights strung between trees or posts help define and draw attention to furniture groupings while creating a festive ambiance. 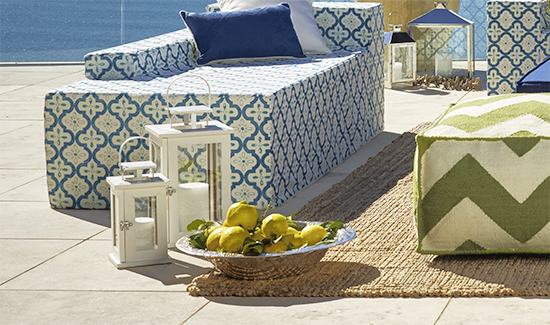 One of my favorite ways to create ambiance outdoors is to use decorative lanterns. You can create beautiful vignettes by arranging lanterns of different sizes together - remember to group objects in odd numbers to make sure the display looks balanced. Another way to use decorative lanterns is to hang them outside over tables or sitting areas to create mood lighting. Use twine for a rustic look or pretty ribbons if you want your outdoor décor to look more refined. In both cases, I recommend you use LED candles to illuminate the lanterns. They now come with flames that appear to flicker like real candles. Unlike real candles, the LED version won't blow out and aren't potential fire hazards. Bring a touch of the tropics to your backyard with battery-powered LED tiki torches. They are great for illuminating a pathway so your guests can find their way to the main event. Tiki torches can also be used to define an outdoor dining or sitting area. Images courtesy of Lamps Plus.